An award-winning matador (?) has been savagely gored by a bull after tripping up over his cloak. 36-year-old Ivan Fandino died in Mont-de-Marsan, a French town close to the Spanish border. He had been in the game for 12 years. Fandino had become tangled in his cape while attempting to leer the bull into it and suffered huge consequences, with the animal piercing his lung. 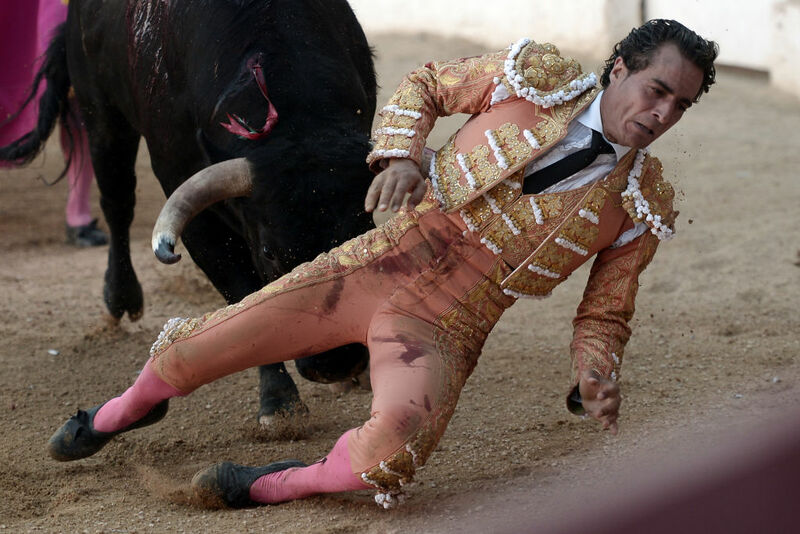 Fandino had fought hundreds of bulls during his bullfighting career. His heart gave out in the ambulance and was pronounced dead at the hospital. 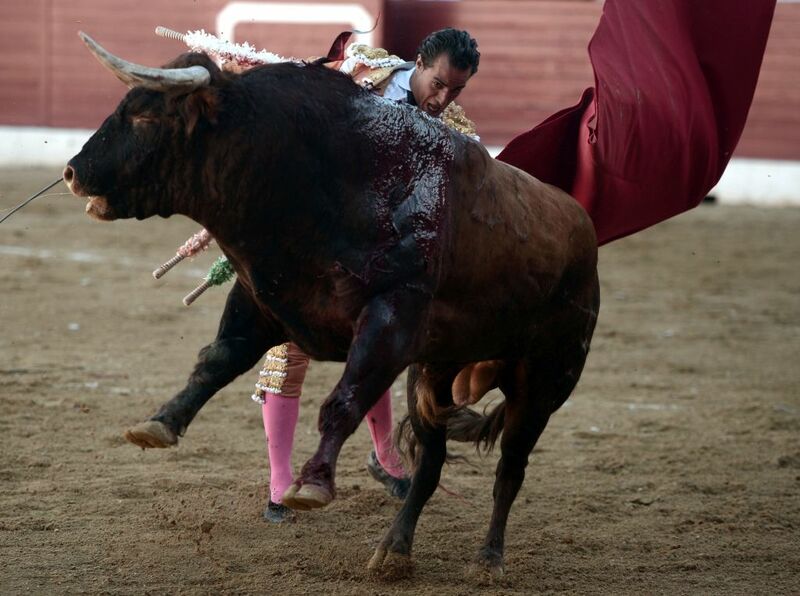 Photos show the horrifying moment that Fandino had tossed into the air by the provoked bull, which also suffered injuries in the ring. It’s a tragedy. We just do not know how it could have happened. Others weren’t so empathetic, drawing attention instead to the well-being of the bulls involved. 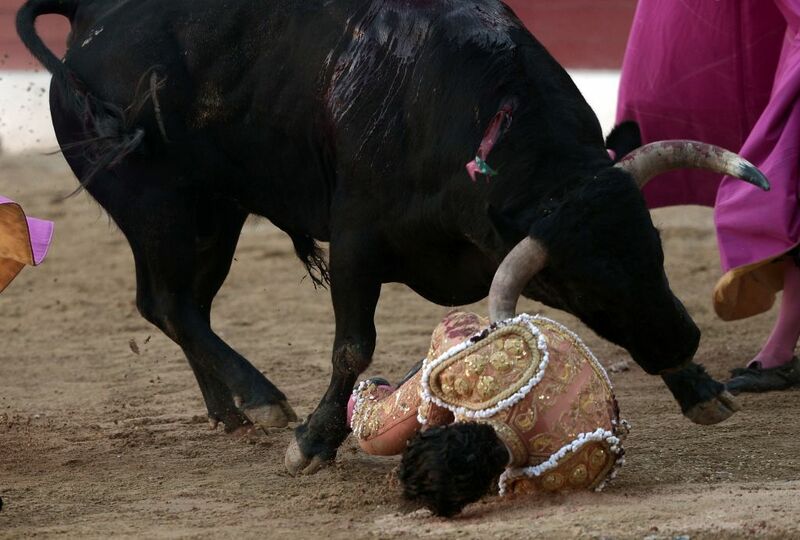 The matador’s death is a tragedy but the 1,000 bulls brutally killed in Frech bullfights every year, every single fight is a tragedy in which they have no chance of escaping a protracted and painful death. Bloodsports like this should be consigned to the history books, no-one should lose their life for entertainment, human or animal. The two other matadors due to take the ring later in the afternoon Juan del Alamo and Thomas Dufau, ended up postponing.